Our custom stickers can be printed in sizes from 2” x 2” to 11.75” x 17.5” on one of three paper choices including vinyl and clear polyester. 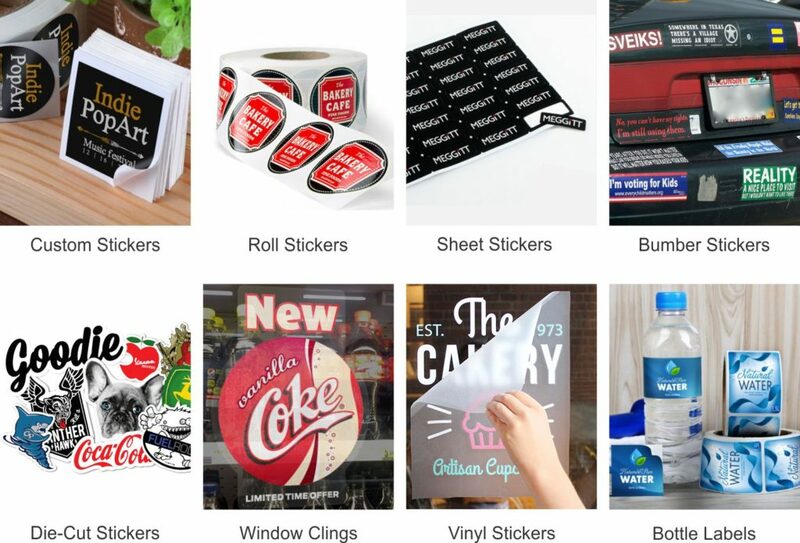 Sheet stickers and wine bottle labels are available in several sizes and shapes. They are both printed on a whole 12-inch by 18-inch sheet and are kiss cut into the backing, making removing and placing the labels easy. Our roll stickers are available in four shapes, including square, rectangle, oval and circles, and rolled on to a standard 3” core. No matter what you need, we have a sticker for you.